How can I get stubborn streaks off of my stainless steel refrigerator? 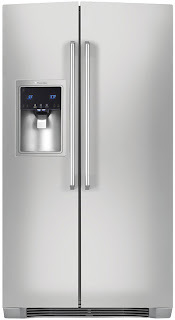 Home » Stainless Steel Questions » How can I get stubborn streaks off of my stainless steel refrigerator? I have tried stainless steel cleaners, vinegar and water, dawn dishsoap and water and club soda. It just keeps streaking over and over. It's driving me crazy! There are different grades of stainless steel. Some are tough to get clean. I made a paste of baking soda and water. I rub it with the grain. It gets most of the spots and streaks out.